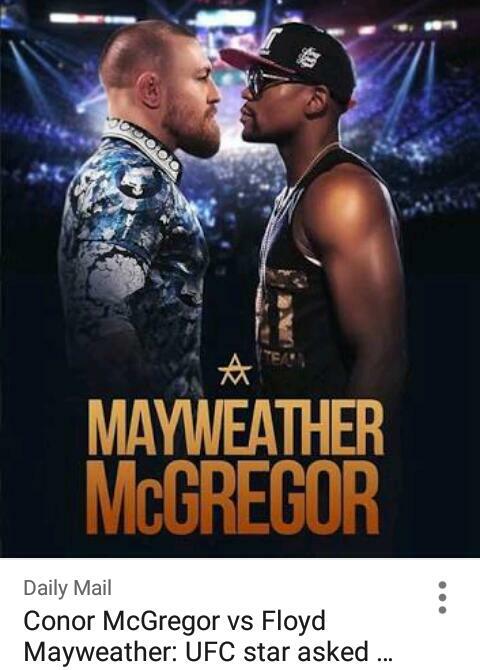 Floyd Mayweather has rescheduled his proposed visit to Nigeria and Ghana to prepare for his 50th battle with UFC champ, Conor McGregor. 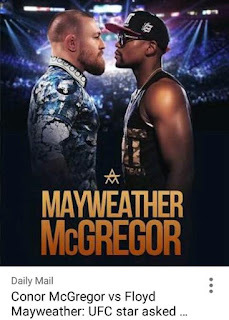 The undefeated record world champion, Floyd was forced to abort the much anticipated Africa tour to go head to head in the ring with the Ireland born boxer who challenged him for bout. 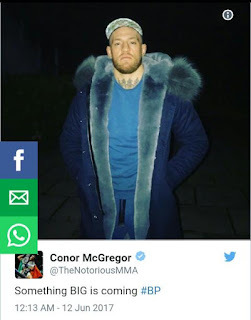 The key detail in the long-rumored Floyd Mayweather-Conor McGregor fight apparently has fallen into place.‎ ‎‎‎ The Nigerian tour which has attracted high profile brands and partners was suspended temporarily according to exclusive report from Zzini Media, the organizers of Floyd Mayweather Visit. It was confirmed to the media that the tour had would now take place on a later date to enable the money team boss to get back to shape after 2015 retirement from the ring that gave him fame.‎‎ Mayweather's trip to Africa was planned to be part of the boxing champion's social responsibility to people of African decent by way of health initiative tagged: "Boxing Meningitis away from Africa".‎ Floyd "Money" Mayweather and the Money Team had been scheduled to touch down in Nigeria on June 12th-14th and storm Ghana 15th - 16th. Indeed, one of the reasons for this sudden change of date, could be associated with the much anticipated bout between Floyd Mayweather and mixed martial arts UFC champion, Conor McGregor. It was revealed Mayweather has also booked the MGM Grand in Las Vegas - the venue for his last twelve fights - for August 26th this year. Though, the Chairman of Zzini Media Prince Donatus Okonkwo has expressed sadness over the unprecedented premature withdrawal from the June Africa Tour. According to him, he regrets the inconveniences this has caused partners and fans who anticipated Floyd's much celebrated visit.